How to Download and Convert Favorite Online Videos to common videos From Popular Online Video Sites? 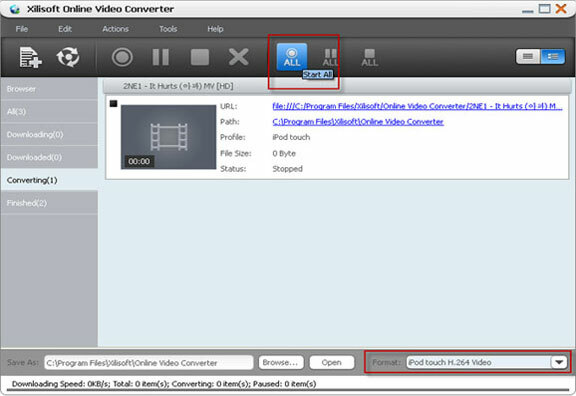 Powerful and convenient, Xilisoft Online Video Converter is a combination of viewer, downloader as well as converter of online videos from multiple popular online video websites. Built-in with a web browser, you can directly log on homepage of online video websites, viewing videos on line, downloading your favorite ones and convert them to SD and HD videos in most common formats within one step. 1. How to Initiate a Downloading Task Quickly? 2. How to Convert Local FLV/MP4 Videos? 3. How to Download and Convert High Definition Online Videos? 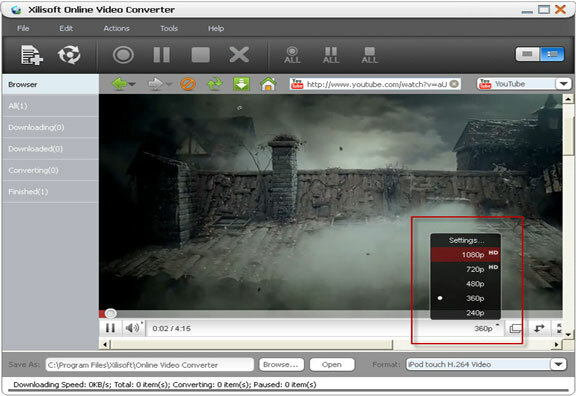 Download, install and launch Xilisoft Online Video Converter. Click the corresponding logo of online video site to log on the homepage. You can also select a site from the dropdown list on the right toolbar. Click the video thumbnail to open the web page in the built-in web browser and watch the video online. Select the format of the profile under the right corner of the application, Xilisoft Online Video Converter will convert the online video to the format you selected automatically after the downloading task is done. 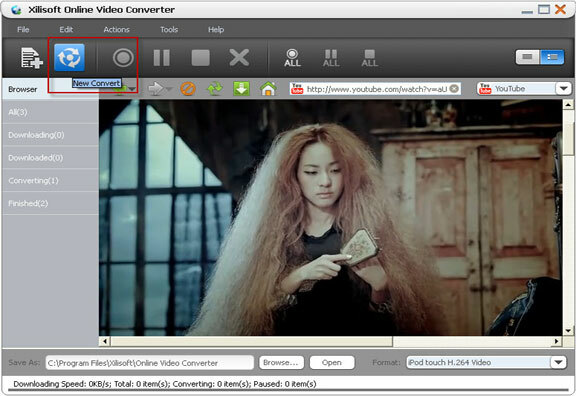 Click the "Download" button on the toolbar of built-in web browser to start downloading your favorite online videos. Check the status of downloading or downloaded tasks in "Downloading"/"Downloaded" tab on the left panel. 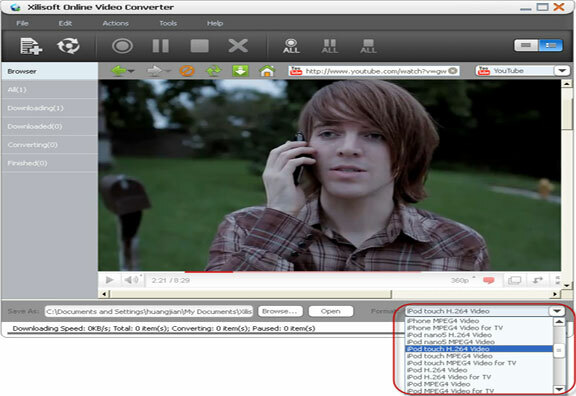 After the online video is downloaded, the application will start converting it to the presetted format automatically. You can check the converting status under "Converting" tab. Manual mode and auto mode are available after initiating a new downloading task. You can set the downloading mode in Tools=>Settings=>Tasks=>Start Type. In Manual mode, you have to start the downloading tasks manually in tasks list under "Downloading" tab. How to Convert Local FLV/MP4 Videos? 1. 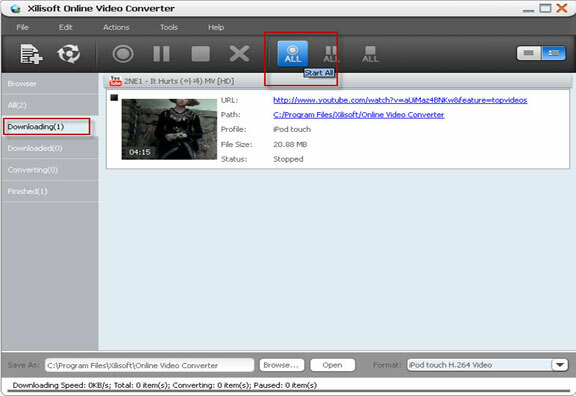 Click "New Convert" button on the main interface to add local FLV/MP4 format video. 2. Select the format of outputted profile under the right corner of the application and then click "Start All" button to start converting. How to Download and Convert High Definition Online Videos? You can download and convert High Definition online videos from online video sites. Just browse the online video page and select 1080P or 720P on the dropdown list of resolutions.